Dr. Xia is the Director of the Surgical Planning Laboratory with the Department of Oral and Maxillofacial Surgery at The Methodist Hospital. He is also an Associate Professor in the Department of Pediatric Surgery at the University of Texas –Houston Medical School. Dr. Xia received his medical degree from the Shanghai Second Medical University in China and his doctoral degree in surgical planning from the University of Hong Kong. He has completed post-doctoral work in computer graphics and computer modeling and a fellowship in rapid prototyping. He also holds a master degree in clinical research from the University of Texas-Houston Medical School. 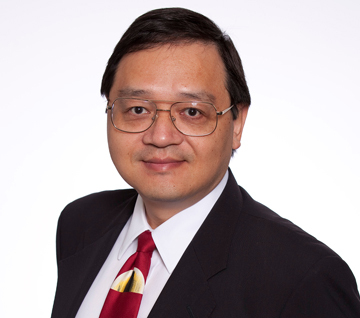 Dr. Xia has more than 50 articles in peer-reviewed publications and has received awards from the Hong Kong Computer Society and the Municipality of Shanghai. He has been extensively lecturing in the US, as well as internationally including Belgium, Brazil, Mexico, Hong Kong SAR, China. Dr. Xia’s research focuses on ongoing trials of new methods to utilize advanced imaging, computer modeling, and surgical navigation to result in making major facial and skull surgeries safer, faster, and more successful. He was a Methodist Hospital Research Institute Research Scholar and has ongoing NIH support for his computer surgical simulation work in cranio-maxillofacial surgery (with Dr. Jaime Gateno of TMH). He and Dr. Gateno have developed system called Computer-Assisted Surgical Simulation (CASS) that aids in surgical planning for these major facial surgeries. Yuan, P, Afonso, DF, Deng, HH, Li, J, Vu, J, Xi, DW, Huang, MF, Alfi, D, Gateno, J & Xia, JJ 2018, International Journal of Computer Assisted Radiology and Surgery, pp. S24-S26. Kim, D, Kuang, T, Xi, DW, Yuan, P, Shen, SGF, Wang, X, Huang, MF, Gateno, J, Liebschner, MAK & Xia, JJ 2018, International Journal of Computer Assisted Radiology and Surgery, vol. 13, no. S1, pp. S113-S115. Li, J, Xi, DW, Afonso, DF, Yuan, P, Huang, MF, Yao, CF, Alfi, D & Xia, JJ 2018, International Journal of Computer Assisted Radiology and Surgery, vol. 13, no. S1, pp. S120-S121.